Post-match interview with Royal Zero: Uzi will tell who is the first ADC Original Source: PCG & Electronic Sports Magazine Published Original Published: 2014-09-20 21:08:52 Original Title in Chinese: ????????Zero?Uzi?????? Interview with Zero after Royal defeated SK Gaming. Zero believes in Group A, SSW will go all out in every game. He also thinks imp’s pentakill [At Worlds vs. DP] was not as great as the pentakill Uzi made in LPL. Q: How do you feel after defeating SK today? A: Since there was no South Korea’s team in this group, we are pretty relaxed in each game. Q: Do you think SSW in Group A are trying their best? A: I believe SSW is trying their best in each game. Q: Do you think this year’s SSW stronger or SKT of last year is stronger? A: I believe SSW is not as strong as SKT last year but if there is a game between these 2 teams, the result would still be unknown. It will still be an even game. Q: Both you and the support of EDG (FZZF) like to move around to help gank people. Do you think this is the poplar strategy these days? A: Our team will give priority to selecting one strong bot lane combination. If we don’t play well in the bot lane then we will have a difficult game. So actaully, I do not assist ganks too often, otherwise it will hurt our bot lane. Q: What about you and Uzi’s current tournament performance? A: Uzi has been a strong ADC. On the other hand, I have more room to improve. So far we play together pretty well. Q: Yesterday imp got the first pentakill at this year’s Worlds. Uzi got a pentakill this year in the LPL, who’s pentakill was more exciting? A: Judging by the quality of the game Uzi’s pentakill was better. Yesterday’s game was one-sided in SSW’s favor but when Uzi got a pentakill, the game was a 50-50 situation. Q: Do you think Uzi is the world’s best AD Carry? 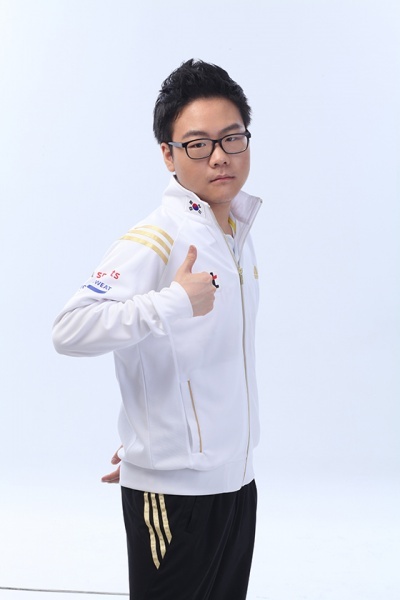 A: During the games Uzi will tell you who is the World’s best AD Carry. Q: imp used Vayne earlier. Uzi’s Vayne is also very strong. If Uzi picks Vayne will it put a lot of pressure on you as the support? A: I belive in Uzi. No matter what champion he picks, I will do my best to help him get strong so that he can show his strength with no reservations. Q: Royal had a great game today. Can you comment on your performance today? A: SK strength is similar to ours and they came out with a very strong line-up today. [He means Svenskeren returned to the line-up] But Uzi was doing great and the whole team performed very well and we eventually won the game.